Pakistan's internet capacity to be increased by 96 Tb/s with new submarine cable system!!! 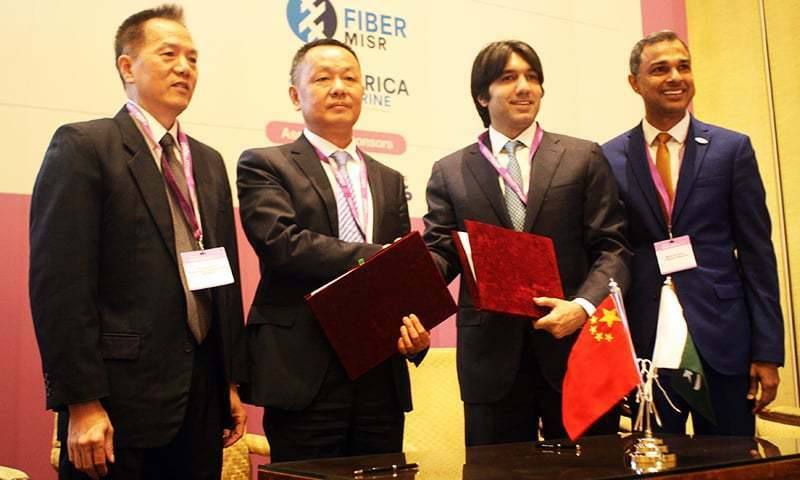 "The system design will adopt the latest 200G technology and WSS technology, which provides the capability to transmit over 16 terrabits per fiber pair, servicing growing regional capacity needs," the statement said. Cybernet Pakistan CEO Danish Lakhani, while addressing a ceremony in this regard said that the submarine cable system would have an "outsized impact on the digital landscape in Pakistan". "With its ultra-low latency design, the cable will cut down transit time between Pakistan and France to under 90 milliseconds — dramatically improving the response time of internet-based applications and the experience of our users," he explained. "The cable will also bolster the redundancy of our country’s connectivity to the rest of world," the CEO added. Cable to slash transit time between Pakistan and France to under 90 milliseconds, says Cybernet CEO. Great help for our IT industry. can this decrease gaming pings for pakistani online gamers like in Battlefield V ? is se kia looti hoee dawlat wapis jaldi ajaey gee? ya hsaan hussain ore is haaqey mafrore ki vapsi asaani se ho gee? ya is se 2 nhi 1 Pakistan ki instalation me asani ho gee?